Elegant bridal hair fascinator comb custom made just for you! 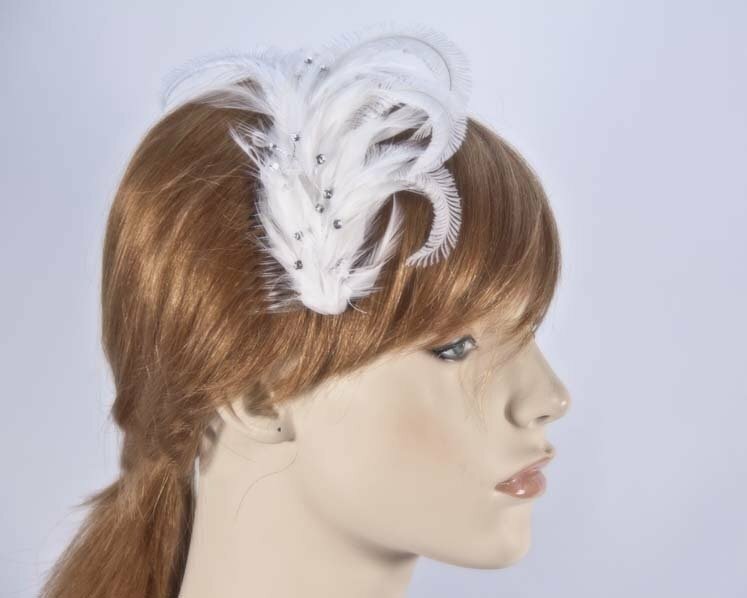 Designed with wedding in mind, this elegant white bridal fascinator fatures feather cocktail with diamontes on the comb and is made to order by us in Melbourne. If required, we can make this bridal fascinator in any colour. Please allow up to week for creation of the fascinator.